Most companies use Facebook for a variety of reasons: to promote the company, communicate with customers and prospects, handle customer service issues, increase brand awareness etc. Whatever the reason(s) your company uses Facebook, it’s probably a given that you’re hoping your posts will encourage engagement and interaction on your page as much as possible. 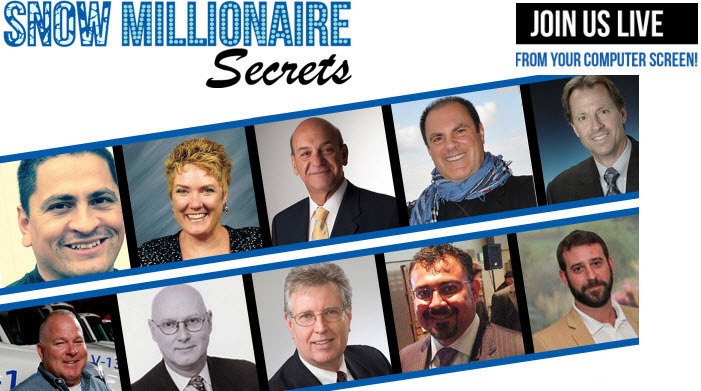 We’ve found some great post suggestions in an infographic on Entrepreneur magazine’s website to help you do just that. These suggestions are not only easy to implement, but they’re also backed up by some cold hard stats that make them hard to ignore. Plus, we found many of our customers were already using some, all or a combination of these post suggestions on their pages- and they appear to be working! 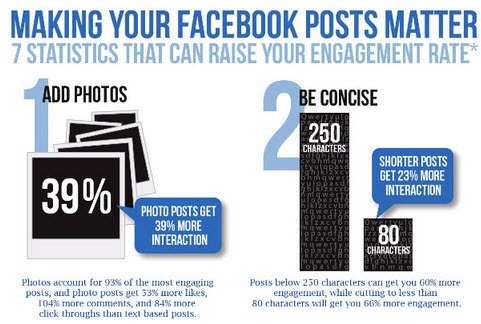 Add Photos- Posts with photos get 39% more interaction, and they account for 93% of the most engaging posts and posts on Facebook. Pretty impressive. 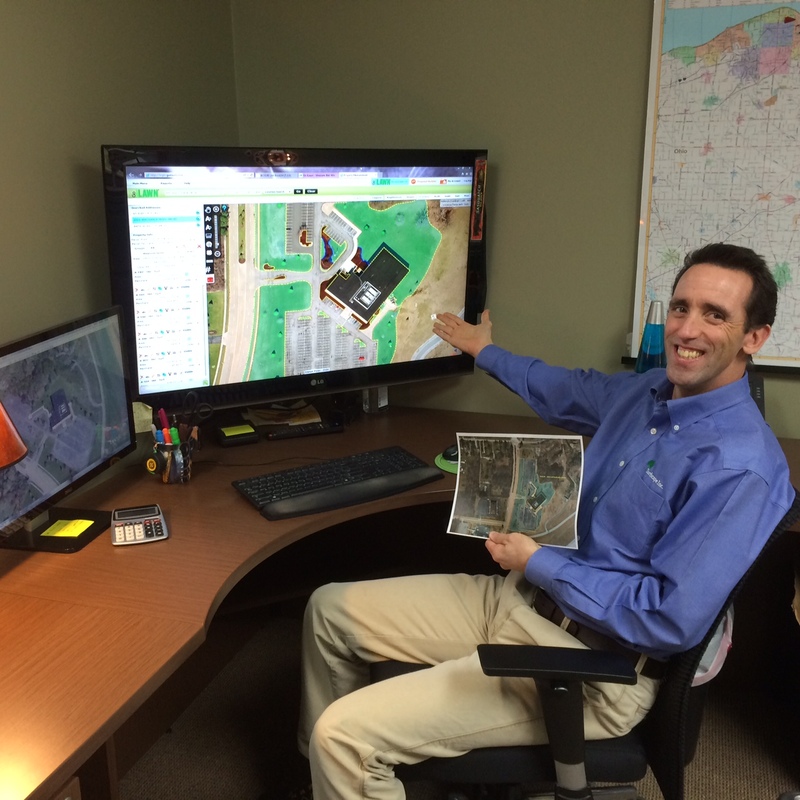 Photos of your work, or employees in action are always good ones to share. 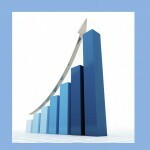 Be Concise- Shorter posts get 23% more interaction. Keep your posts between 80-250 characters…the shorter the better. 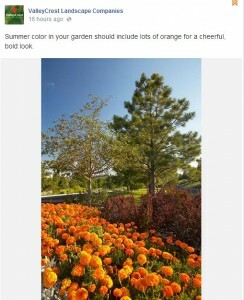 Valley Crest posted something that combines the first two tips by posting a photo of flowers along with the statement “Summer color in your garden should include lots of orange for a cheerful, bold look.” This post is powerful because it includes an eye-catching photo, a nice short statement to go along with it, and perhaps it got their fans thinking about what type of flowers they want Valley Crest to plant at their property. This example from Valley Crest incorporates a beautiful, eye catching photo and a concise statement to go with it. The perfect combo of items one and two. Use Emoticons- Comments, likes and shares, the three things you hope for when you post, all increase if you use emoticons when posting. 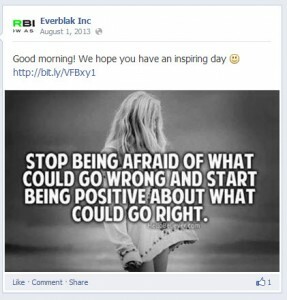 So if you’re smiling while you’re creating a clever post, be sure to add a smiley face emoticon to the end of your sentence 🙂 Here’s an example from Everblak Inc’s page where they included a smiley face in their post. Everblak Inc. spread some morning cheer with this inspirational quote and a smiley face emoticon. Post on Thursdays & Fridays- Engagement increases by 18% on Thursdays and Fridays, so if you’re only posting a few days a week, try to work one or both of those days into your post schedule. Post Questions- Posting a question can generate 100% more comments than standard posts with comments. If you can create a question with a quick, easy answer, that’s even better. 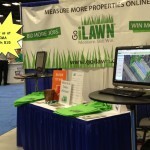 I saw a great example of this on Swingle Lawn, Tree and Landscape Care’s Facebook page. 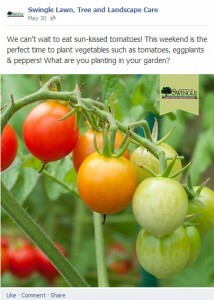 They posted a photo of tomatoes and asked: “What are you planting in your garden?”. 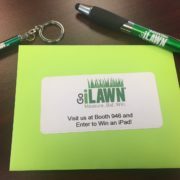 This is a great example from Swingle Lawn, Tree and Landscape Care of an easy, engaging question to ask your fans. 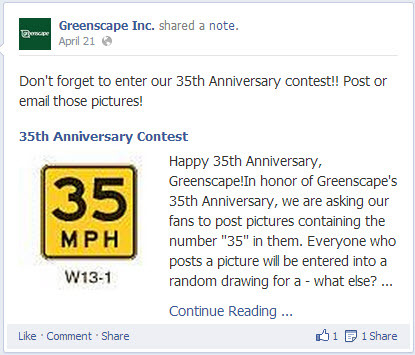 Greenscape Inc. ran a contest on their Facebook page for a $35 VISA in honor of their 35 anniversary. Easy and fun! Give Coupons or Discounts: If you’re looking to score some likes, you might want to consider offering a coupon for Facebook fans because 42% of fans like a page to get a coupon. Have you tried any of these posting methods? If so, what type of post provoked the most engagement with your fans? Let us know in the comments section of this post. 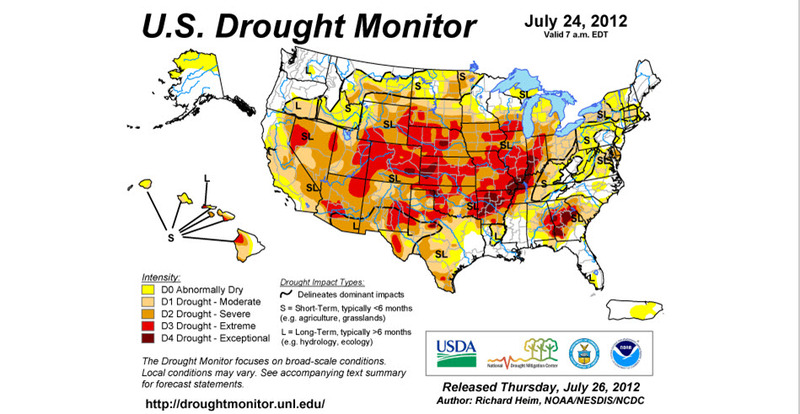 See the ideas and statistics mentioned in this post in the infographic below. 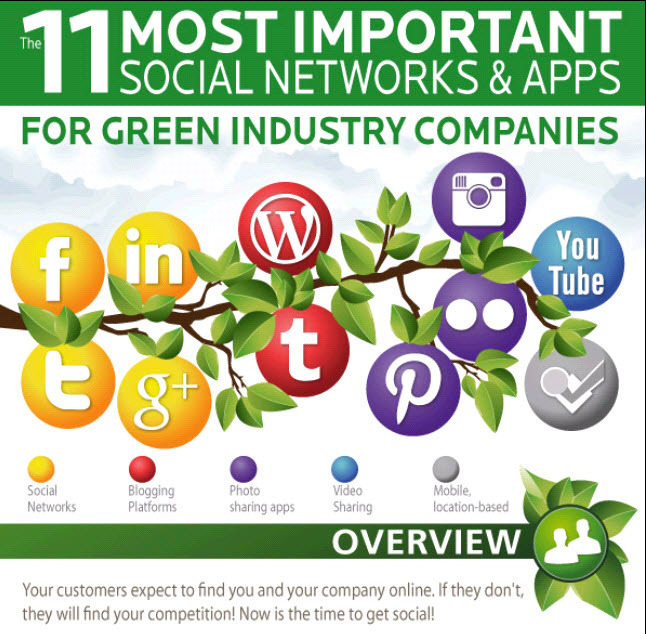 Is Your Landscape Company Using Social Media? 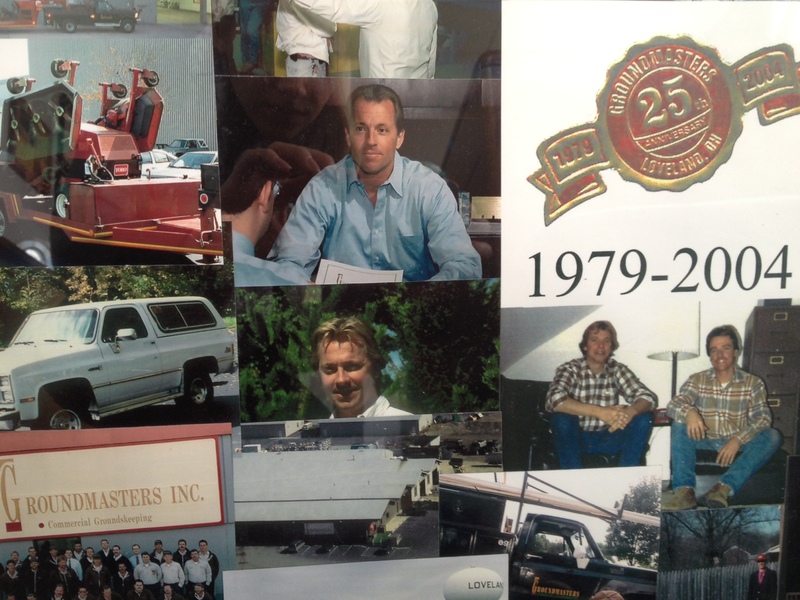 If a paving company had a good amount of photos for me to look at I would probably be more willing to use their service. My current home doesn’t have a driveway. So, I want to add one but I also want it to be made with stamped concrete. It would be nice for me to be able to see how well a company can handle the stamped concrete look.